You are here: Home / Movies / Bumblebee Family Movie (Knight)! Have you been living under a bubble like I have? Usually, I get lots of emails and I am able to make it to many movie screenings before a movie comes out on DVD. Bumblebee was one that my family missed. So maybe I have been living under a “bumble” rather than a bubble. I had no clue that it was directed by Travis Knight! So Bumblebee which did amazing in the box office is a Paramount film. So does Travis Knight not work with LAIKA anymore? I see that his name isn’t listed under IMDB. Okay, thank goodness it looks like he is still the CEO and President of LAIKA. The movie is directed by Knight but also produced by Spielberg, Goldner, and Brigham. It is like the HALL of FAMERS of creativity created this movie. 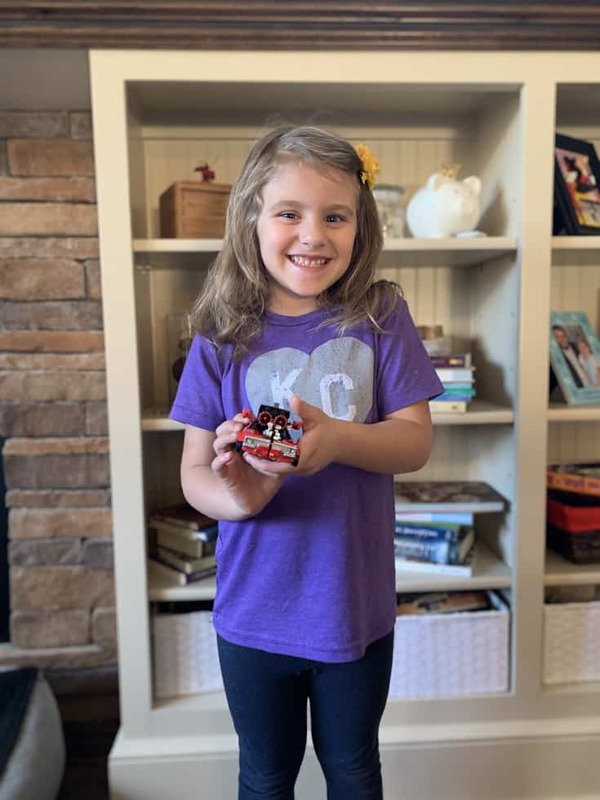 This makes our family movie night of Bumblebee even more special. My husband along with millions of others call Travis Knight’s father “Uncle” Phil. His father is the founder of Nike. Although we live in Kansas City, we are huge Oregon Ducks fans and the story behind Oregon and Nike. Now, don’t let this take away from the success that Travis has had his entire career. He built LAIKA up on his own and worked tons of man areas on many of their films as an animator. I had the opportunity to interview him a few times and see him in action. His job would be nails on a chalkboard if I had to do what he did as an animator. If you are a Transformer’s fan, you are probably screaming “Transformer’s for LIFE!” Luckily, the DVD/Blu-ray is filled with tons of deleted scenes and extras that your nerdy heart is just going to love! I have two small kids and getting to watch this movie with them is fun and exciting! My youngest was the most excited for the new Transformer’s toys! We love Hasbro and we love all of the fun merchandise that the studio sent us. 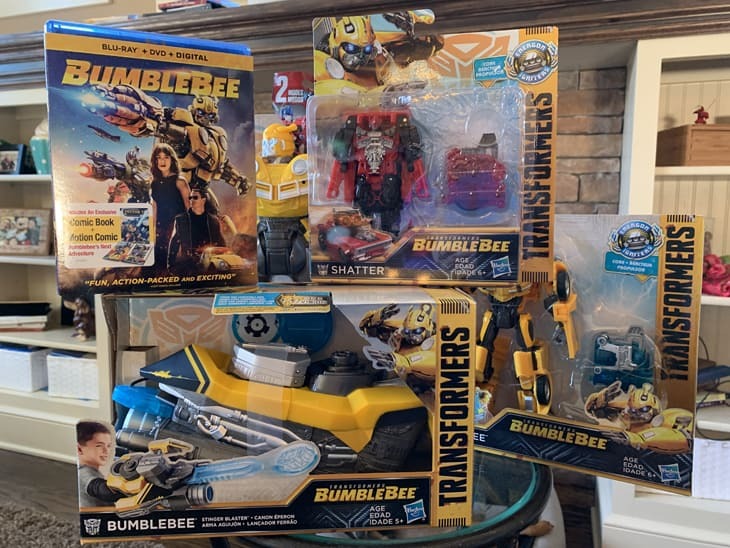 Our family was gifted Blu-ray Combo Pack, DJ Bumblebee, Bumblebee Stinger Blaster, a figure from the Transformers: Bumblebee — Energon Igniters Nitro Series, a figure from the Transformers: Bumblebee — Energon Igniters Power Plus Series and more. Find Bumblebee toys on Amazon. We opened up ALL of the toys but first we had to snap for some pictures! 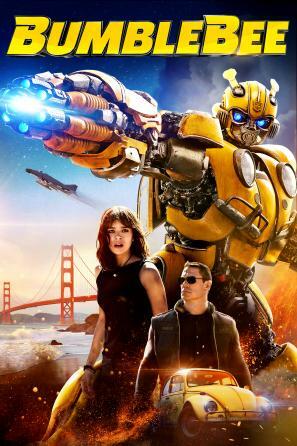 Bumblebee is now available on DVD/Blu-ray and Digital!